This week I am starting a new series called Ingrid's Floral Tips. In this series I will talk about where to buy your flowers and what to look out for when you choose cut flowers. 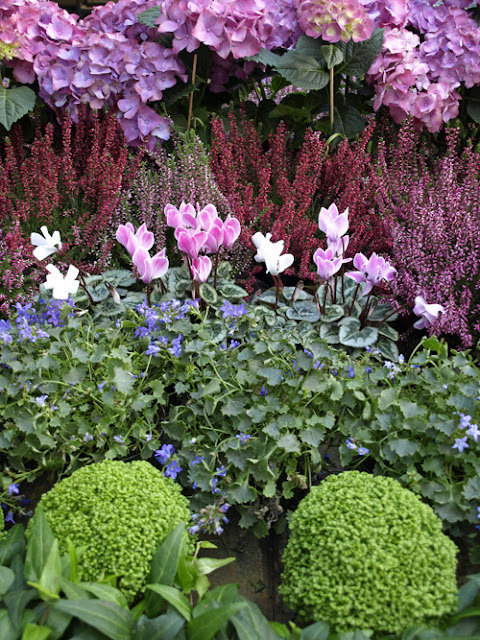 I will start with talking about where to buy your flowers, followed by the all important subject of how to condition the flowers once you've brought them home. Later I will talk about what kind of containers to choose and tips about how to look after your flowers in general and much, much more. Later on I'm also going to include tips and advise about cutting gardens. # 1. There are many different places to buy flowers - from your local supermarket or grocery store, petrol stations, street flower stalls, farmers' markets to florists' shops and wholesale flower markets. In some areas you can find pick-your-own flower farms and you can also order flowers on-line. # 2. Buying from the petrol station or similar place at a reduced price might not be a bargain as the flowers might not have been looked after and therefore not last for very long. # 3. If you're lucky you might have access to a wholesale flower market. They are large and busy places and can be a bit overwhelming if you are not used to them but it is worth persevering as you will have an amazing choice at wholesale prices. # 4. In London you have the wonderful New Covent Garden Flower Market that florists and event organizers depend on - and it's also open to the public. The core trading hours are Monday to Saturdays 02:00 am to 08:00 am. Some traders may open and close later - but the whole flower market closes at 11:00 am every morning. # 5. My favourite place to get flowers are from local farmers' markets. London Farmers' Markets has 21 local markets open on different days throughout the week. It's well worth finding out if there is one in you area and if there is a stall that sells flowers. # 6. 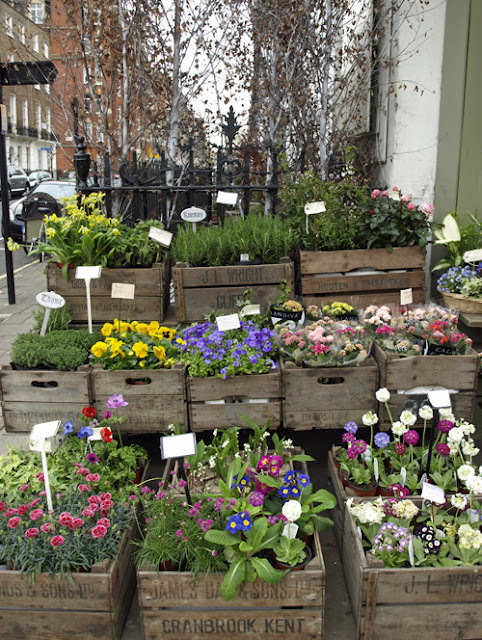 Another favourite place of mine to buy flowers is Columbia Road - open only on Sundays from 08:00 am till about 3:00 pm. It is a really fun place to to spend a Sunday morning whether you are buying flowers or not. Apart from all the flower and plant stalls there are fabulous shops and cafés. # 7. Most big cities around the world has at least one big flower market. Los Angeles has its own Los Angeles Flower District, in New York you can go to NYC Flower Market and in San Francisco you have the San Francisco Flower Mart. Paris has Marché aux Fleurs and in Amsterdam there is a charming floating flower market - just to mention a few. 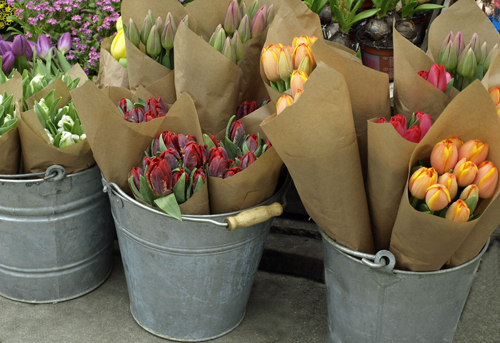 Find out if there is a wholesale flower market or a street flower market in your area. # 8. As we are more and more concerned about the carbon footprint and want to buy local food and flowers. 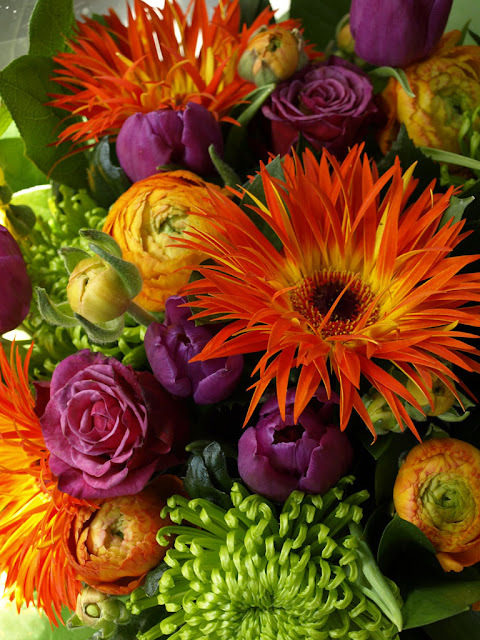 In the UK you can order flowers on the internet from British flower farms. That way you can be sure to buy seasonal and that your flowers have not added up a lot of air miles. Here are a few to choose from - Scilly Flowers, Pinks by Post, Cornish Flowers, Common Farm Flowers and Scented Narcissi. They all grow their own flowers and send them out by post. In Seattle, Washington you can find this beautiful flower farm called Floret Flower Farm. Have a look at Erin Benzakein's lovely website and blog - an inspiring lady! # 9. Another wonderful way to have cut flowers is to grow them yourself. I will write more about cutting gardens later on in my series. # 10. There can be advantages and disadvantages to most of the different ways and places you get your flowers from. You need to find out what is the most convenient way for you, how much you want to spend and this will vary depending on season. The most important is obviously to choose the best quality flowers for the best price. I hope this has been useful and that you have been able to pick up a few tips. Thanks for visiting my blog and I'll see you back here very soon. A wonderful post, Ingrid, and thank you so much for sharing! I certainly would love to be able to buy flowers at the places you mention, especially New Covent Garden Flower Market and the local markets. But, I have to be pretty happy that I live just down the road from Erin and Floret and get to visit there whenever I want to. Truly floral heaven! Wishing you great success with the new series! this is a very good idea and will be helpful !!! Such nice pics...at the monment I have to buy my flowers in a supermarket :((((( but if spring really is here I will drive to the next big city..
Have anice day, here it´s awfully cold .. I'm glad to find here just before you start your new serie. I'm a gardner student and looking foward to see your tips. I love cottage garden. Best wishes from Finland. 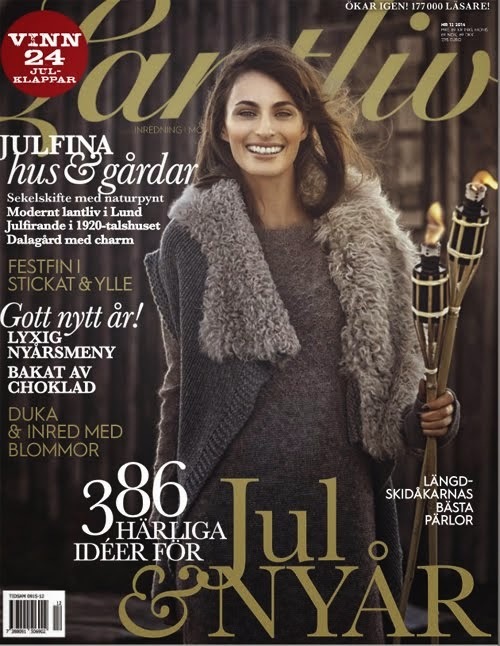 Dearest sweet Ingrid, such a lovely post and tips!! I am loving this new series running on your space! Have a lovely merry happy mid-week and love to you! I love this idea! So many wonderful suggestions and as always, beautiful photographs! I look forward to reading/seeing more. Thank you for this new series. It is really interesting. 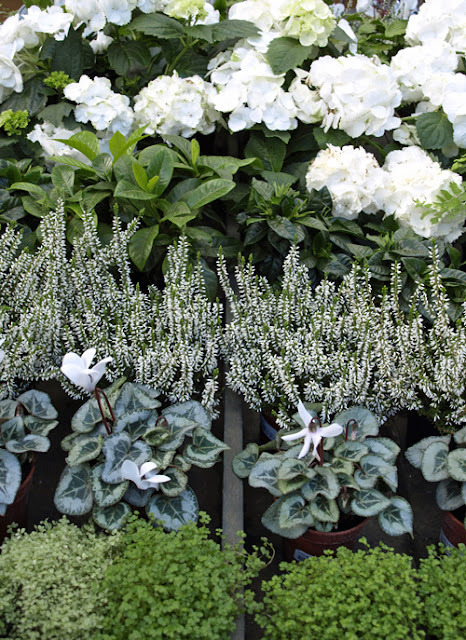 So, so very helpful as I was just now able to find a great whole seller for all my blooms. I've been looking for some time and have yet to form a relationship, like Grotgianna has, with Floret Flower Farm as I know I'm very close to both.